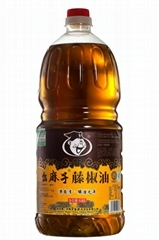 Founded in 2002, Sichuan Hongya Yaomazi Food Co., Ltd specializes in the production of Szechuan Pepper Oil. Yaomazi company is located in the hometown of green pepper --- Hongya county, with 30,000 acre of planting base, and 2 automatic production lines which can produce 3,000 bottles of green pepper oil each hour. 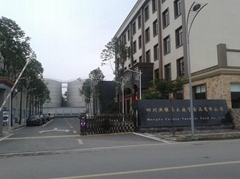 The company consists of a factory, a Green Pepper Culture Museum and a restaurant. When you visit our company, you can know the culture of green pepper, see the factory strength and taste Sichuan cuisine. 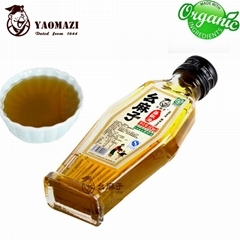 Yaomazi oil is widely used in Sichuan Food. It is 100% natural, without food preservative, additive or colorants, awarded China Green Food Certificate in 2006, and Pollution Free Agriculture Products by China Agriculture Ministry. We certified ISO9001 in 2008 and ISO2200 in 2010. 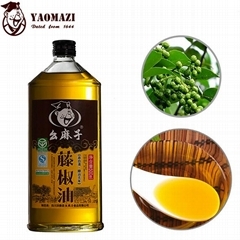 With the development of 14 years, ‘Yaomazi’ has become the most popular 'green pepper oil' brand in China. Yamazi oil has been distributed to Japan, United States, Australia, etc. 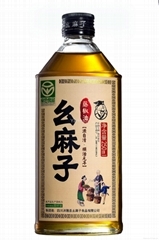 Green Sichuan Pepper Oil is 'Yaomazi'.